​Cardiff have completed the signing of Argentine forward Emiliano Sala from Ligue 1 side Nantes for a club record fee. Sala passed a medical at the Cardiff City Stadium on Friday and Neil Warnock had hoped to have him available for Saturday's crucial relegation dogfight against Newcastle at St James' Park, but missed the deadline. The fee was undisclosed but Get Football News France has reported that ​Cardiff managed to negotiate a last-minute decrease in the fee, bringing it down from €22m to €17m. Sala's transfer was officially announced on Cardiff's official website and he becomes their latest signing after a loan deal for ​Everton striker Oumar Niasse was completed on Friday. Sala and Niasse have been brought in to add greater attacking depth to Warnock's team, which has scored just 19 Premier League goals this season - only ​Huddersfield and ​Fulham have fewer. Speaking to the club's ​website, Sala said: "I’m very happy to be here. It gives me great pleasure and I can’t wait to start training, meet my new teammates and get down to work. The Bluebirds are currently 18th in the Premier League following their 2-0 loss to Newcaste on Saturday but will hope Sala can bring an attacking edge to their play that has been lacking so far this season. 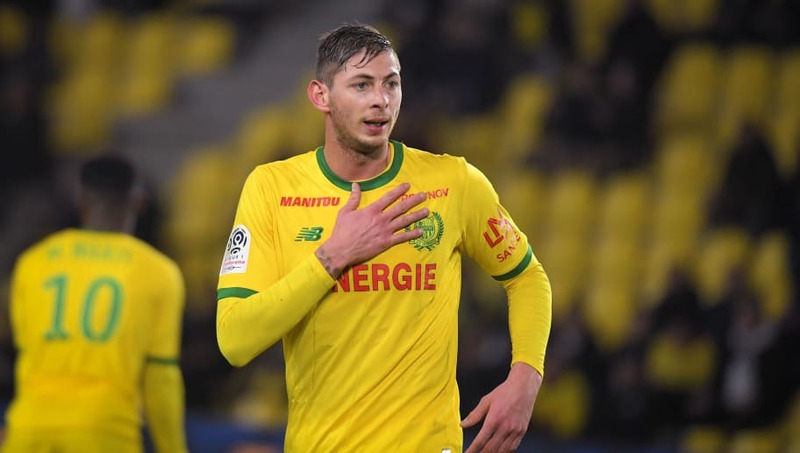 Sala has been in sensational form for Nantes this season, outscoring the likes of Kylian Mbappe and Edinson Cavani with 12 goals in 18 Ligue 1 appearances. Only Neymar and Lille's Nicolas Pepe have scored more. Sala started his career at Bordeaux and spent time on loan at Orléans, Niort and Caen before Nantes signed him in 2015. He played under Claudio Ranieri last season but will be attempting to secure Cardiff's survival at the expense of his former manager, who is now at Fulham.